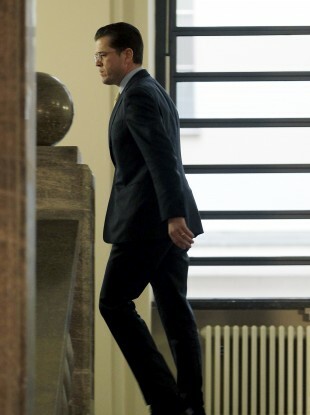 Karl-Theodor zu Guttenberg had become engulfed in a scandal surrounding his university doctorate. THE GERMAN DEFENCE Minister has resigned after it was found that he plagiarised large parts of his university doctorate. Karl-Theodor zu Guttenberg said he was resigning from all political offices at a news conference in Berlin today, Reuters reports. Guttenberg was considered as a possible future chancellor of Germany until the scandal emerged last month. He had already been stripped of his PhD on Constitutional Law in the EU and the United States from Bayreuth university. The story came to light after it was found that Guttenberg may have plagiarised at least eight significant passages in his thesis with more allegations that he copied passages emerging in recent weeks. German chancellor Angela Merkel had stood by her minister but on Monday more than 20,000 academics wrote to her complaining that Guttenberg was still in his job, according to the BBC. I thank the chancellor for her support but I have reached the limits of my strength. The 39-year-old comes from an aristocratic background and is formally titled as a Baron. He was considered to be a rising star of the party who had also been a minister for economics and technology in Merkel’s first cabinet. Guttenberg had voluntarily given up his title in the wake of the scandal that Der Spiegel reports has divided Germany. Email “German defence minister Guttenberg resigns over PhD plagiarism ”. Feedback on “German defence minister Guttenberg resigns over PhD plagiarism ”.